Whatever the Tide Brings Your Way, We're Here to Defend You. 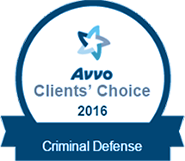 A Melbourne local with over 20 years of proven criminal defense experience. We won't let one mistake wipe you out. WHEN YOU FACE ADVERSITY, WE ARE READY TO FIGHT FOR YOU. Being arrested can be one of the most overwhelming moments that an individual can face. One momentary mistake can lead to a costly run-in with the law, making jail time or a permanent criminal record a scary reality. Do not assume that you are alone in this process. Remove the burden from your shoulders by retaining the services of our Melbourne criminal defense lawyer at Steven G. Casanova, P.A. to handle the legal battle on your behalf. At our firm, we never accept an arrest as an indication of guilt. 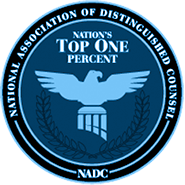 Time and time again, we have proven our abilities and skills in the courtroom on behalf of our clients. We want our clients to have the best chances of success and we can offer our knowledge of the law to defend our clients' rights at every stage of a case. Practicing since 1999, Attorney Casanova can draw from years of experience to assist clients. 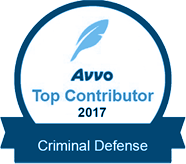 In addition, he is a 10.0 Superb Rated lawyer on Avvo, demonstrating his outstanding reputation among his peers and past clients. 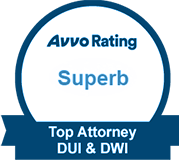 In addition to these highly prestigious memberships, our lead attorney has further distinguished himself as a leading provider of defense for charges of driving under the influence (DUI) in Brevard County and other surrounding areas. Attorney Casanova is a certified breath test maintenance technician and licensed Intoxilyzer 5000 operator. These qualifications give him unique experience and knowledge that work in your favor as he challenges or disproves any evidence gathered against you after a DUI-related arrest. Our areas of practice include criminal defense representation for cases of any level of court, degree, complexity, jurisdiction, and nature. From felonies to misdemeanors, our Brevard County criminal defense attorney can efficiently handle any type of criminal defense case in Florida. We are prepared to defend you after an arrest. 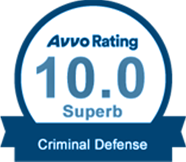 The sooner you contact our professional team, the faster we can begin compiling favorable evidence for your defense. 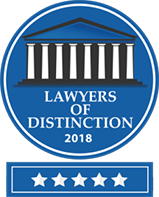 As an A+ Rated business by the Better Business Bureau, our firm is recognized for adhering to the highest standards of ethics, professionalism, and client service. Don't wait another moment to retain the professional representation you deserve. 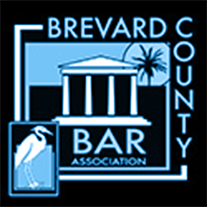 If you have been arrested anywhere in Brevard County, Florida, trust Steven G. Casanova, P.A. to handle your case. We keep our phone lines open 24/7. Se habla Español.